Consistent and effective prison oversight is a crucial means by which to ensure that inmates’ rights are monitored and protected. Together with the Judicial Inspectorate of Correctional Services (JICS), judges and parliamentarians are empowered to conducted regular visits to prisons and to report on the conditions and treatment of inmates. We strongly encourage the exercise of this power, and have created a user-friendly inspection toolkit in order to facilitate this process. 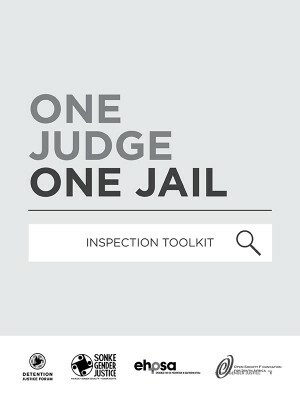 The toolkit takes into account all relevant legislation, policies and guidelines, and should be used by judges and parliamentarians in order to mainstream their inspections and reporting on prisons.